Keep your brand or message visible for years to come. Mini plastic backboards can be affixed to almost any surface. Double sided tape included. 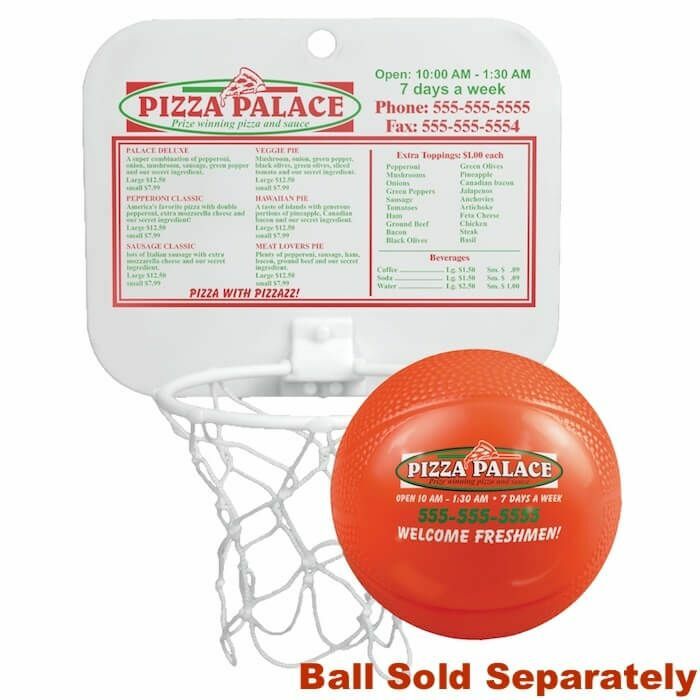 NOTE: Mini Backboards can be used with Mini Vinyl Basketballs OR 4" Foam Balls (will not work with 5" Foam Balls). Click on the links to purchase those items. Production Time 5 business days. Express shipping options available at check out. Production times are usually firm, but may vary depending on production schedules. Setup Charge $25.00 per ink, Fullcolor: $35.00.